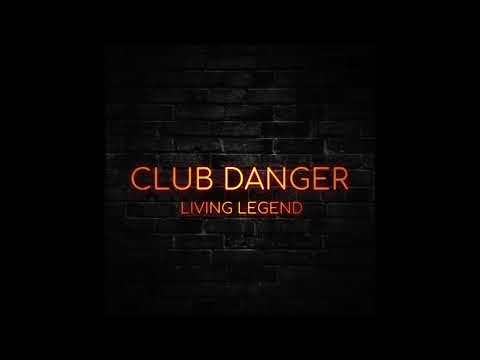 Club Danger is an electrifying alt-rock/pop duo consisting of skillful producer/vocalist Riley Friesen (Jen Ledger, Stephen Christian, 7 Days in Alaska) and prolific songwriter/instrumentalist Derek Mount (Former Family Force 5, Brique a Braq, Juno Kids). The partners have collaborated on several custom pieces for feature films (NBCUniversal, Lionsgate, Columbia Tristar) and numerous records for major labels (Warner Bros., Atlantic Records, Capitol Records), topping Billboard charts with eight number-one hits and fifteen top-ten songs. Their songs have been used in sporting events (ESPN, CBS), commercials (Nokia, Target), video games (Tony Hawk Pro Skater, Rock Band), and more. The inventive pair combines fuzzy guitar lines with contagious harmonies to create an aggressive sound that is deceptively dancey. The debut single, “Living Legend,” is an addictive rock anthem that was recently featured in promos for Fox’s Lethal Weapon. The release has also caught the ear of countless YouTube users, earning millions of streams as the foundation of numerous AMV and GMV fan videos around the world. The band’s stadium sound has provoked highly coveted invitations to perform at several of Nashville’s hottest synch showcases, as well as inclusion in thousands of Spotify workout and pump-up playlists. Club Danger hits hard, with future sport soundtracks that proudly accept the best elements of overdriven rock, catchy pop, and dark dance music.